I found out the other day that my old food/baking blog domain had been bought/hijacked by a random Japanese real estate company (I think?). Granted, I gave up the domain a little while back, it was still a bit unnerving to see it being used. Why would they use "Sweets by Sillianah" to promote their business? It's completely unrelated to sweets. And "sillianah" was a nickname that meant something only to me (so I thought). While I'm not mad, I am a bit bummed...but honestly, it's left me scratching my head and pushing me to re-blog some of my favorite recipes as all of the posts are now defunct. 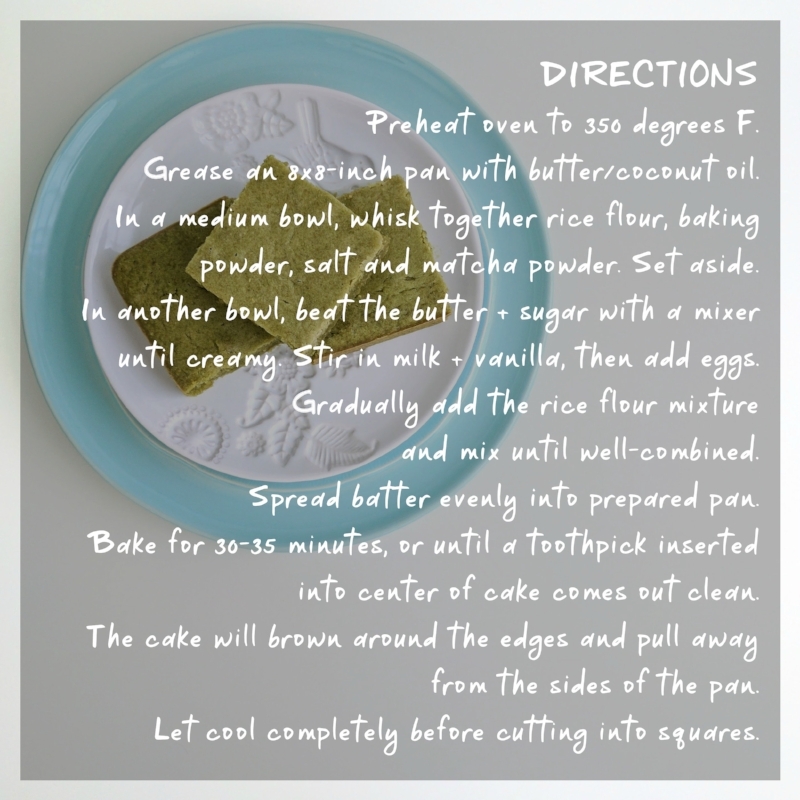 It's something I've been wanting to do - and started to, with my Matcha Mochi Cake recipe. 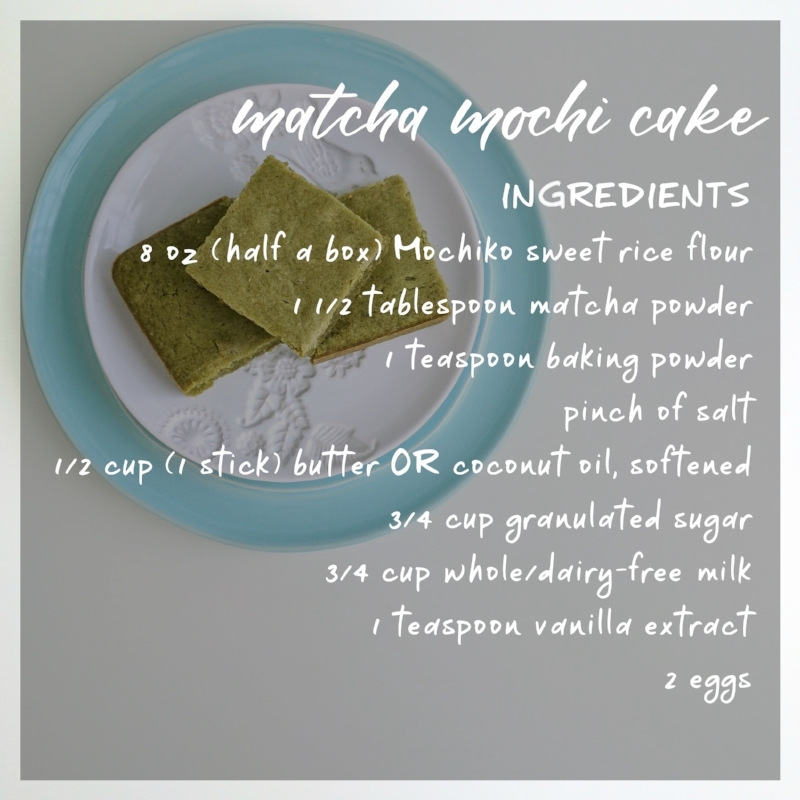 So, I'm back with another matcha recipe - it may just become a thing. I've learned a lot about the different grades and quality of matcha since I last shared. I had been using an average (i.e. cheap) culinary grade matcha - while it was from Japan, it was a bit lackluster in flavor and hue. I was envious of the food bloggers with bright green baked goods - how did they do it? I recently tried a freshly stone-ground matcha straight from the grinder and wow, it was the smoothest, most creamiest cup of matcha I've ever tasted. No dairy needed! The price of the matcha nearly burned a hole in my wallet but I have to say, you really get what you pay for. It was worth it to taste and learn about the differences in matcha quality. Matcha that is freshly ground, and higher in grade; tends to be brighter, more vibrant in color. Hence, my muddy-green "matcha" baked goods of the past. For these matcha chocolate chips, I sacrificed a bit of that holy matcha powder for the sake of recipe-testing. But in general, it's more economical to use a quality culinary grade (I'm still testing different brands) for baking so the subtle nutty flavors of the ceremonial grade matcha is not lost in the sweet, baked treats. 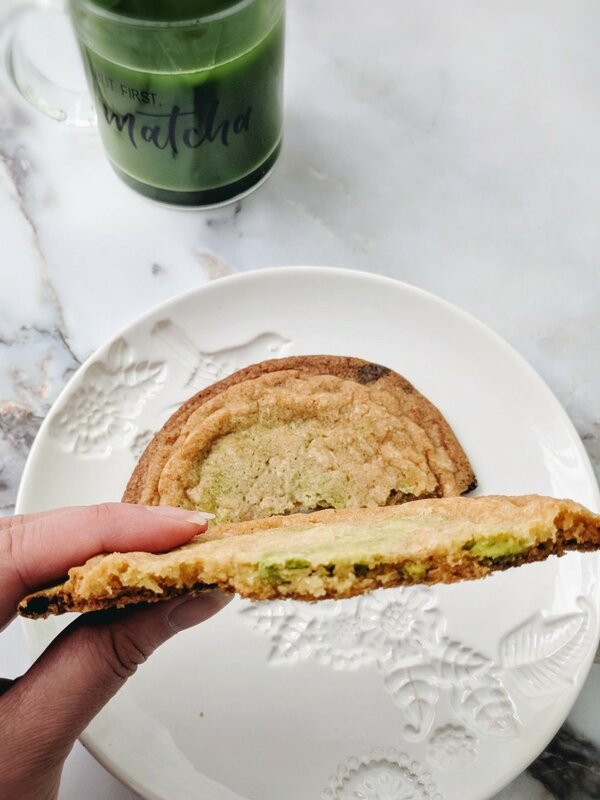 Do you have a favorite matcha you like to bake with? Heat white chocolate chips over double boiler until melted, stirring occasionally. Remove from heat and add 2 teaspoons matcha powder. Stir until matcha is fully incorporated and mixture is smooth. Pour matcha chocolate into prepared sheet, and spread into even layer - about 1/4-inch thick. Tap the baking sheet against counter to smooth out chocolate. Chill in refrigerator until firm, about 20-30 minutes. Then use a knife to chop into chunks and use in your favorite cookie recipe. The "But First, Matcha" mug (+ two more styles) can be found in my Etsy shop!